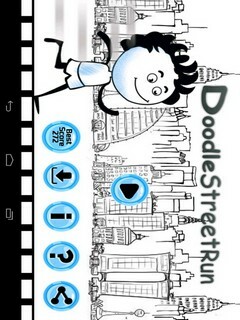 Doodle Street Run is very addictive running game. This is game of Run,Swap and Run doodle. You need to be quick to avoid obstacles and collect stars and points. This fast moving Doodle needs your help to make it through all the obstacles. Just tap the screen and little doodle will jump from top to bottom as it runs to its goal. Try to stay alive as long as possible. 1. Simple and attractive graphics. 2. Miles of distance to run with ever-changing obstacle.